Click here to watch The Odyssey on YouTube. **Keep in mind that the movie includes episodes not in the text and that the text has episodes not in the movie. As always, there are differences between the film and written versions. 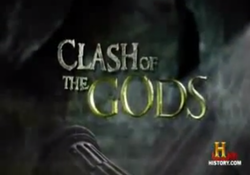 Visit this link to YouTube to sample part of The History Channel's series Clash of the Gods. Episodes 6 and 7 feature the story of the mythical Odysseus, but it turns out that there may, in fact, be a seed of truth in the story. The story of Odysseus is so big, it takes two episodes to tell it! Full episodes can be purchased through iTunes or Amazon.com for $1.99. 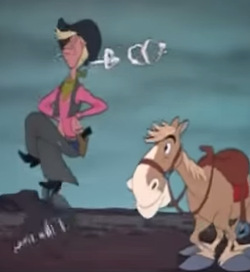 ﻿Disney's Pecos Bill (part 1 of 2)﻿ in which Bill and Widow Maker meet, and Bill tames a cyclone. Notice what Roy Rogers's song and the story are telling us about heroic qualities. How do Bill's qualities reflect what would have been required for pioneers to succeed in the Wild West? Disney's Pecos Bill (part 2 of 2) in which Bill courts Slue Foot Sue and Widow Maker gets jealous. What universal / archetypal ideas about men, women and best friends are suggested by this story? If you're interested in Roy Rogers, ﻿click here﻿ for a clip of his television show from the 1950's. This was on television on Saturday mornings. Roy Rogers, Dale Evans, Roy's dog Bullet and his horse Trigger were favorites of American children during this time period. Hungry for some more tall tale fun? Check out another tall tale hero in Disney's Paul Bunyan (click here for part 1 of 2, click here for part 2 of 2). Follow the links to YouTube to view a famous film version of Romeo and Juliet. The Worst Jobs in History is a fun series produced by the BBC that show us how people lived throughout different periods of history. This episode is divided into six parts and will give you a glimpse inside life in Shakespearean England. A fun overview of the plot in cartoon/video format. Theatrical trailer for 2013 production of Romeo and Juliet. This film is currently available at Redbox or you can rent or purchase at www.Amazon.com. Another great version was made in 1968 and is also available on Amazon. It's not a great copy, but this bonus material is fantastic! It was released with the movie Shakespeare in Love (1998, starring Gwyneth Paltrow, Joseph Fiennes, and Judi Dench). There are some stunning shots of the New Globe Theatre in London, and some beautiful scenes of Romeo and Juliet being performed onstage. Click on the purple button above to check it out on Youtube! Read Shakespeare's masterpieces side-by-side with modern translation. * Click ﻿here﻿ to see the handout Citation at a Glance. This is an infographic from Bedford St. Martin's. * Click here (scroll down to page 2) to see a sample MLA Works Cited page. 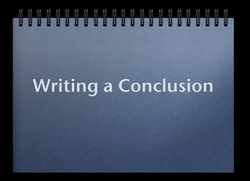 * Click ﻿here to see MLA basic page set up and MLA Works Cited page example. 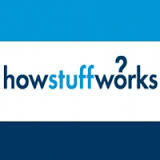 ﻿To watch this video on YouTube, click here. NBC News interview with former Secretary of State Condoleezza Rice, who lived in Birmingham, Alabama at the time of the 16th Street Church bombing. 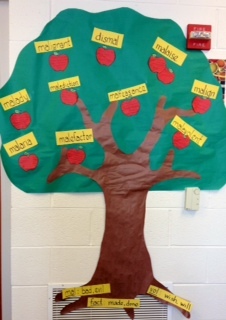 Click here to download vocabulary tree assignment. Harper Lee and To Kill a Mockingbird are in the news...click here to read the full story that involves Ms. Lee, a relative-by-marriage of Truman Capote and the Monroeville Courthouse Museum. 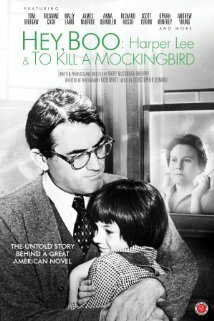 If you have Netflix, there is an interesting documentary on To Kill a Mockingbird. Click here to see a video preview. From CBS News "On the 50th anniversary of To Kill a Mockingbird, Bill Whitaker reports on the celebration in author Harper Lee's home town, Monroeville, Ala." Click here to watch.